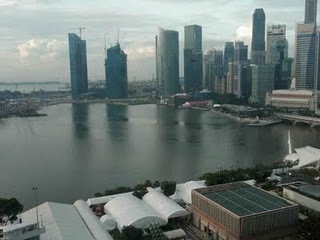 My view from the Mandarin Oriental in Singapore. 11.14.09 Is Today the Day I Worried About Yesterday? http://giglioco.com/wp-content/uploads/2017/05/giglogo.png 0 0 Steve Giglio http://giglioco.com/wp-content/uploads/2017/05/giglogo.png Steve Giglio2010-03-28 13:49:472010-03-28 13:49:4711.14.09 Is Today the Day I Worried About Yesterday? Today I’m taking off for Singapore! I’ll be working with American Express executives who meet with banks throughout Asia to offer the Amex Card to their high net-worth customers. Blog to you from the Orient! http://giglioco.com/wp-content/uploads/2017/05/giglogo.png 0 0 Steve Giglio http://giglioco.com/wp-content/uploads/2017/05/giglogo.png Steve Giglio2010-03-28 13:49:472010-03-28 13:49:4711.13.09 Off to Singapore! "Working with Steve Giglio is always a great investment. He is a master in a field that few have mastered." Pascal Guignard, Vice President & GM NBP & Airlines, American Express Services Europe Ltd.
Want Some Tips? Sign up for my newsletter.